Most people who haven't had their heads up their asses for the last decade have realised that something wasn't quite right concerning our supposed "mortal enemy" al-Qaeda. For those citizens soaked in mainstream propaganda and believers of everything the government says, al-Qaeda is the new Soviet Union. They are North Korea and Iran combined with the possibility of a dirty nuke or two thrown into the mix. They were the architects of 9.11 and the reason we have been at war for the past decade. 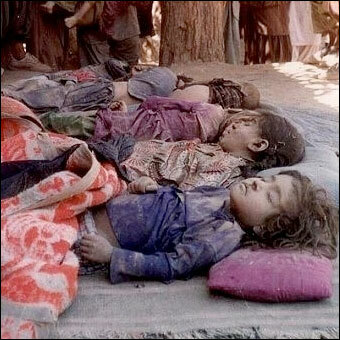 They are the reason some people are willing to give their lives fighting for "freedom" in Afghanistan or Iraq. However for those people who know some history they have never been too far away from our intelligence agencies control. As Robin Cook the ex UK Home Secretary informed us after the London bombings in an article he wrote for the Guardian. Al-Qaeda are nothing more than a creation of the CIA. Created as a pawn by Zbigniew Brzezinski to play on his Grand Chessboard. Al-Qaeda, or as they were known back then, the Mujahideen, were a group of CIA funded Islamic "freedom fighters" who were fighting the USA's proxy war against the USSR during the 80's. Designed to draw the Soviet Union into their very own Vietnam and sap the strength and morale from the conscript army, the clash of civilisations was never meant to be the west versus Islam but the atheist communists fighting the huge swathes of Islamic people contained within their old borders. The Afghan war certainly did as the USA wanted and a decade was spent funding what we know now as al-Qaeda. Osama bin-Laden and other Islamic fighters were trained, funded and even praised by the USA back then as heroes and revolutionaries as they took out Soviet helicopters with American ground to air missiles and used the opium harvests to get the Soviet conscripts addicted and de-moralised whilst spending the profits on their war. 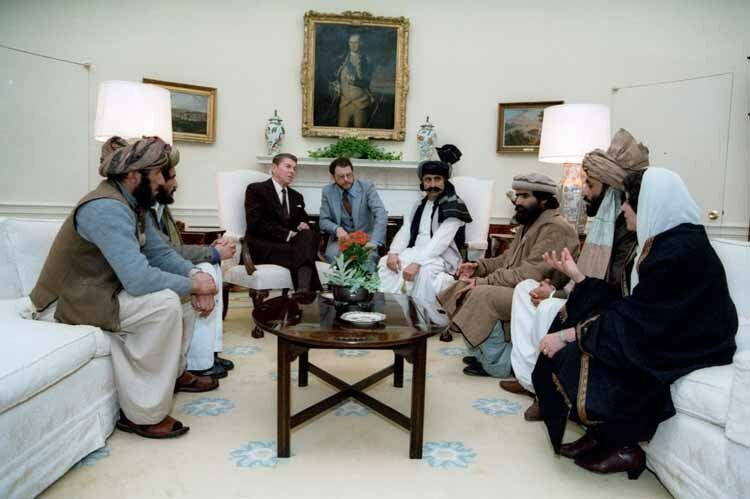 “In March 1985, President Reagan signed National Security Decision Directive 166 … [which] authorize[d] stepped-up covert military aid to the Mujahideen, and it made clear that the secret Afghan war had a new goal: to defeat Soviet troops in Afghanistan through covert action and encourage a Soviet withdrawal. The new covert U.S. assistance began with a dramatic increase in arms supplies — a steady rise to 65,000 tons annually by 1987 … as well as a “ceaseless stream” of CIA and Pentagon specialists who travelled to the secret headquarters of Pakistan’s ISI on the main road near Rawalpindi, Pakistan. There, the CIA specialists met with Pakistani intelligence officers to help plan operations for the Afghan rebels.” - Steve Coll, The Washington Post, July 19, 1992. What is less known by many is that these close links between al-Qaeda and the west continued far after the end of the Afghan / Soviet war. The Mujahideen were recruited by the CIA from a large number of Muslim countries including jihadists from the Soviet Muslim republics. Among these recruits was the leader of the Chechnya rebellion Shamil Basayev who in the immediate fall of the USSR led Chechnya’s first secessionist war against Russia. Shamil Basayev had links to US intelligence from the late 1980s. He was involved in the 1991 coup d’Etat which led to the break-up of the Soviet Union and was subsequently involved in Chechnya’s unilateral declaration of independence from the Russian Federation in November 1991. During his training in Afghanistan, Shamil Basayev linked up with Saudi born veteran Mujahideen Commander “Al Khattab” who had fought as a volunteer in Afghanistan. Barely a few months after Basayev’s return to Grozny, Khattab was invited (early 1995) to set up an army base in Chechnya for the training of Mujahideen fighters. According to the BBC, Khattab’s posting to Chechnya had been “arranged through the Saudi-Arabian based [International] Islamic Relief Organisation, a militant religious organisation, funded by mosques and rich individuals which channeled funds into Chechnya”. - BBC, 29 September 1999. Therefore it is no lie to suggest that the CIA and the west created and supported what was later known as al-Qaeda. In fact bin-Laden and his group were actually a very small organisation and when the time came to paint them as a bogey man it was apt that the CIA's own book of jihadists would be the name for the new bogeyman under the bed. The UK, as attested to by ex MI5 agent David Shayler, funded an al-Qaeda offshoot called the Libyan Islamic Fighting Group (LIFG) to assassinate Col. Gaddafi during the 90's. His whistleblowing led to his imprisonment for breaking the official secrets act and the case rocked the front pages of the UK press for quite a time. In fact we were so concerned about the dangers of the LIFG, al-Qaeda and bin-Laden that we even ignored an Interpol arrest warrant that was issued by Libya for bin-Laden and even helped linked terrorists evade capture by granting them political asylum. "British intelligence paid large sums of money to an al-Qaeda cell in Libya in a doomed attempt to assassinate Colonel Gadaffi in 1996 and thwarted early attempts to bring Osama bin Laden to justice.... two French intelligence experts ......reveal that the first Interpol arrest warrant for bin Laden was issued by Libya in March 1998. According to journalist Guillaume Dasquié and Jean-Charles Brisard, an adviser to French President Jacques Chirac, British and US intelligence agencies buried the fact that the arrest warrant had come from Libya ....... Five months after the warrant was issued, al-Qaeda killed more than 200 people in the truck bombings of US embassies in Kenya and Tanzania.... The Libyan al-Qaeda cell included Anas al-Liby, who remains on the US government's most wanted list with a reward of $25 million for his capture. He is wanted for his involvement in the African embassy bombings. Al-Liby was with bin Laden in Sudan before the al-Qaeda leader returned to Afghanistan in 1996. Astonishingly, despite suspicions that he was a high-level al-Qaeda operative, al-Liby was given political asylum in Britain and lived in Manchester until May of 2000" - The Observer, 2002. "..the town of Tropoje, Albania was a"common staging area" for Bin Laden’s and the KLA’s forces, and thus "a center for Islamic terrorists." US intelligence also acknowledged that Bin Ladin’s al-Qaeda had "both trained and financially supported" the Albanians, and that the Kosovo border had been infiltrated by Bosnian, Chechen and Afghan mujahedeen, in "…crossings (which) originated in neighboring Albania and, according to the reports, included parties of up to 50 men." - Washington Times, 4th May 1999. "The arrival in the Balkans of the so-called Afghan Arabs, who are from various Middle Eastern states and linked to al-Qaeda, began in 1992 soon after the war in Bosnia." Mujahedeen Fighters, who had fought in Afghanistan against the Soviet occupation in the 1980s later "migrated to Bosnia hoping to assist their Islamic brethren in a struggle against Serbian [and for a time] Croatian forces." "Milosevic is right. There is no question of their participation in conflicts in the Balkans. It is very well documented." "Many members of the Kosovo Liberation Army were sent for training in terrorist camps in Afghanistan,"
So it was well-known that during the 90's when al-Qaeda was starting to be pushed by the media as a worldwide terrorist organisation that we still had close links to this dangerous force. Were our western intelligence agencies actually in control of this terrorist group or were we only in control of key assets within al-Qaeda like bin-Laden who enabled us to pull their strings? I don't know but even after 9.11 when the world was up in arms at the group for supposedly attacking the USA in the most sophisticated terrorist attack known in history evidence emerged to show that we were still closely linked to the group. Even worse it suggested we were even linked to the terrorists who had carried out the attacks! Were we funding them? Were they double-crossing us or did we allow them to carry out the attack to fulfil the aims prophesied in the Project for the New American Century document - Rebuilding America's Defences. These ‘intimate relations’ included using bin Laden for ‘operations’ in Central Asia, including Xinjiang, China. These ‘operations’ involved using al-Qaida and the Taliban in the same manner “as we did during the Afghan and Soviet conflict,” that is, fighting ‘enemies’ via proxies. - Sibel Edmonds, Times of India, Aug 3rd 2009. So the American government doesn't want the close ties between the US government and al-Qaeda to be known otherwise they wouldn't have gagged Sibel Edmonds. Also we know from investigations carried out after 9.11 that the Israeli government was closely following the 9.11 terrorists around the USA, even living doors away from them at times. If this is true then why didn't they tell the USA, and if they did then did someone ignore their warning? Was this deliberate? "Since Sept. 11, more than 60 Israelis have been arrested or detained, either under the new patriot anti-terrorism law, or for immigration violations. A handful of active Israeli military were among those detained, according to investigators, who say some of the detainees also failed polygraph questions when asked about alleged surveillance activities against and in the United States." "Fox News has learned that one group of Israelis, spotted in North Carolina recently, is suspected of keeping an apartment in California to spy on a group of Arabs who the United States is also investigating for links to terrorism. Numerous classified documents obtained by Fox News indicate that even prior to Sept. 11, as many as 140 other Israelis had been detained or arrested in a secretive and sprawling investigation into suspected espionage by Israelis in the United States." - Carl Cameron investigated Israeli Spy Rings in the USA. A German newspaper Die Zeit also reported on the Israeli spy ring that was following a number of the 9.11 hijackers around the USA. They also claim that the Mossad spy ring informed the USA about the terrorists and the planned attacks but that the warnings were ignored. So not only did the Americans and Israeli's know about the 9.11 hijackers whereabouts but they were being closely monitored. One only has to read up on the ABLE Danger program to realise how much foreknowledge the US government had about the terror plot which makes one wonder with all this information why it wasn't stopped before hand. The 9.11 attacks relied on so much co-incidence and luck that I call it the biggest co-incidence theory in world history. Not only were the hijackers lucky to take over four planes with rudimentary weapons but they managed to get on the flights even though many were known to the authorities. They also managed to expertly fly these huge planes perfectly into their targets, even supposedly managing to break known laws of physics by getting a Boeing 757 to fly 400mph a few feet from the ground without crashing first into the first floor of the Pentagon. They also were so lucky that previously whenever a weak nose of a plane has hit a re-inforced concrete wall the plane has crumbled into dust and the wall remained. However on this day not only did they manage to make a plane punch through 3 re-enforced concrete walls at the Pentagon but they managed to carry out expert manoeuvres that even expert pilots claim couldn't be made. That's not even mentioning the fact that they were lucky enough to carry out their attacks on a day that NORAD was carrying out pretend hijacking exercises which confused air traffic control and prevented planes being flown to stop the hijacked planes. Not only that but they were lucky enough to cause 3 high towered sky scrapers to explode into dust by only hitting two of their targets. Therefore the hijackers were very, very lucky that they managed to have everything go their way on 9.11! So it seems the west has been in close links with al-Qaeda all the way up to 9.11, but what about after? Haven't we been fighting them in Afghanistan and Iraq for the past 10 years? So not only are we funding our enemy through backhanded methods in Afghanistan but the recent revelations from Libya reveal that the Benghazi attack on the US embassy was really an attack on a CIA front for weapons running to al-Qaeda linked rebels in Syria. It seems President Obama is ignoring the law - again - and has decided to fund al-Qaeda linked rebels such as the al-Nusra Front who are busy cutting people's heads off, stoning woman and massacring whole villages. (Reuters) - President Barack Obama has signed a secret order authorizing U.S. support for rebels seeking to depose Syrian President Bashar al-Assad and his government, sources familiar with the matter said. These rebels are of a similar ilk to those we supported in the other throw of Col. Gaddafi. These rebels are still in control of large quantities of NATO supplied weapons paid for by western tax payers. The leaders of the mish mash of rebel groups in control of Libya now are busy fighting each other, locking up and executing people with dark skin and implementing Sharia law where they can. We really helped to modernise Libya with that bold move and it's not as if they are even that grateful. 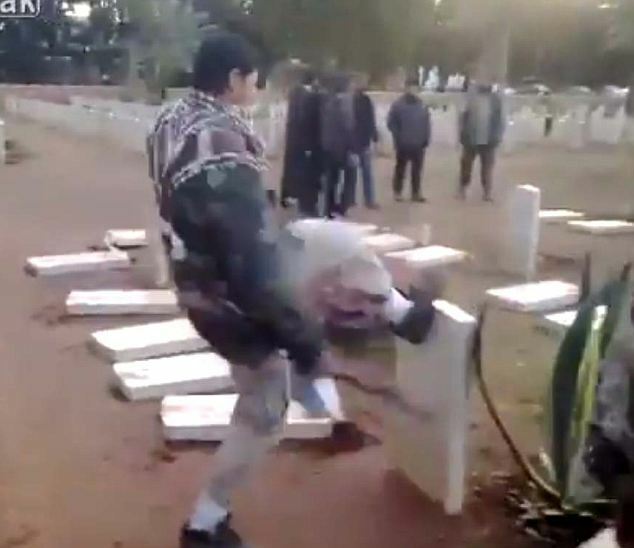 We have had British World War cemeteries destroyed by Islamic fundamentalists and the US ambassador Chris Stevens was murdered in an attack by jihadists not long back. The Daily Telegraph ran a recent story in which an interview with the leader of the rebel army we are supporting in Libya‘s civil war admitted that he had recruited al-Qaeda fighters and called them not terrorists but good Muslims. Al-Qaeda’s own leaders even released statements in support of the rebels and also called for the other throw of Gaddafi who they felt was an obstacle to their ideal Islamic Caliphate. It seems after Libya the rebels have flocked to Syria and whilst we debate arming these jihadists they are busy killing Christians, eating lungs and hearts on film and beheading everyone they can get their hands on. Just one of the recent massacres involved over 120 children and 330 men and women who were massacred by the al-Nusra Front in the town of Tal Abyad. And this isn't the only massacre carried out by the anti-Assad forces we are so keen to back at any cost. Earlier this year another massacre was filmed and showed Rebel Free Syrian Army (FSA) fighters capture a policeman who the FSA allege is a “Shabiha” or pro-regime militiaman, on July 31, 2012, as the rebels overran a police station in Aleppo. The footage shows several bloodied men stripped down to their underwear being forced to kneel by a wall amidst a throng of excited, machine gun-touting men. Once their captors open fire, the camera jerks away as the crowd momentarily disperses, seemingly unprepared for the nearly 40 seconds of uninterrupted shooting that follows. As the gunfire dies down, shouts of “Allahu Akbar!” resound as the once skittish onlookers victoriously raise their guns in the air, approaching what appears to be a pile of stripped-down corpses. One of the victims has been identified as Ali Zein Al-Abidin Al-barri; the rebels accused him and his family of killing 15 FSA soldiers during a truce in Aleppo. The rebels are certainly not afraid of using terrorism as a tactic in Syria. Not only have they massacred whole villages but they are not afraid of using huge Iraqi style car bombs to kill as many innocent people as possible. Earlier this year the Free Syrian Army (supposedly moderate when compared to al-Nusra Front) admitted carrying out a car bombing attack in Damascus which killed the president's defence minister, brother-in-law and the head of his crisis team whilst meeting at the national security headquarters. As I have written on many occasions since we started our latest round of wars in the Middle East it seems very strange that we declare al-Qaeda to be our mortal enemy and spill our own soldiers blood and guts fighting them in certain parts of the world yet fund and arm them in countries we want to other throw such as Libya and Syria. Not only are we basically supporting our own enemy because of "realpolitik" but it seems we have no moral line in the sand at all. How can we declare al-Qaeda to be such an evil, all-powerful terrorist group, one in which we must lay down our civil liberties by the bucket load to defeat on one hand and yet support them and their offshoots on the other because they are fighting another one of our enemies? It really does seem that the saying, the enemy of my enemy is my friend in this case and history shows that al-Qaeda is a lot more than just our enemy. In fact from the very beginning it seems they were created as our own group of Jihadists to be let off the leash whenever we want to de-stabilise an area or cause panic at home. Want to implement a new liberty destroying law such as the PATRIOT ACT or the NDAA, then let's get one of our patsies to get on a plane with a bomb in his pants. Oh he's on a no-fly list, don't worry we will just usher him through passport control and give him entry to the USA so that we can arrest him in a blaze of glory and scare everyone witless during Christmas. It is very clear our political leaders have the moral backbone of jellyfish and their duplicity is beyond comprehension. Therefore when we hear stories about huge chemical weapon stashes found in rebels homes in Turkey, or our very own UN inspector claims that the only signs of chemical Weapon use are by the rebels we should pay notice. It should also be noted that the use of Chemical weapons was the "red line" Obama was willing to engage in the Syrian conflict if crossed. The problem seems to be that the line was crossed by our own side not President Assad. Also hacked emails from defense contractor Britam reveal a plan apparently “approved byWashington” and funded by Qatar to stage a chemical weapons attack in Syria and blame it on the Assad regime. And recently the Turkish security forces found a 2 kg cylinder filled with sarin gas after searching the homes of Al-Nusra Syrian militants who are linked to Al-Qaeda. So lets all be clear here as I summarise the points. al-Qaeda was created by the CIA to fight the USSR in Afghanistan. After the war we used al-Qaeda to fight the Russians in Chechnya and the Serbs in Kosovo. British intelligence not only harboured al-Qaeda linked terrorists but funded them to carry out illegal assasination plots in Libya. The first Interpol warrant issued for bin-Laden was ignored by western intelligence and bin-Laden was allowed to escape. A well placed whistleblower, ex FBI agent Sibel Edmonds, claims the USA had intimate ties with al-Qaeda and bin-Laden right up to 9.11. Apparently they were used to fight proxy wars and to destabilise areas which the US had an interest in. Even the 9.11 hijackers were monitored by Mossad spies, the US was warned about their plans, ABLE Danger had identified them but for some reason no action was taken. 9.11 was then used to justify the war on terror which has led to over a decade of war, the massive loss of liberties at home and the rise of the surveillance state. All under the auspices of protecting us from terrorism. The risk of death from terrorism is minimal. You are 11,000 times more likely to die from a plane crash than you are from a terrorist attack. Even though we are supposedly fighting al-Qaeda in Afghanistan we are at the same time funding the Taliban through re-construction programs. We have recently armed and fought alongside al-Qaeda linked rebels to other throw Col. Gaddafi in Libya. Libya is now in a mess and run by Sharia law imposing rebels. Before our intervention Libya was one of the richest, healthiest and educated populations in Africa. We are now funding and arming Syrian rebels that are linked to al-Qaeda. These rebels have been taped on numerous occasions beheading people, eating the lungs and hearts of victims, executing captured soldiers and massacring whole villages. Even though President Assad is a dictator during his reign he has modernised the country and Christians and Muslims lived side by side in peace. Now the Islamic fundamentalists are killing Christians, using chemical weapons and imposing Sharia law. Just like in Libya these terrorists are not likely to hand back any guns, rocket launchers and other weapons we provide them. It is more likely they will be used against Europeans and Americans in terrorist attacks. It is also likely that any further terrorist attacks will be used to impose more draconian police state laws and Internet surveillance. Here are some video's which show the type of people we are supporting in our "war of terror". View the original article Oh look, America is funding al-Qaeda after all at darkpolitricks.com.